Mothers owe a 'thinking love' to their Children.––"The mother is qualified," says Pestalozzi, "and qualified by the Creator Himself, to become the principal agent in the development of her child; ... and what is demanded of her is––a thinking love ... God has given to the child all the faculties of our nature, but the grand point remains undecided––how shall this heart, this head, these hands be employed? to whose service shall they be dedicated? A question the answer to which involves a futurity of happiness or misery to a life so dear to thee. Maternal love is the first agent in education." We are waking up to our duties and in proportion as mothers become more highly educated and efficient, they will doubtless feel the more strongly that the education of their children during the first six years of life is an undertaking hardly to be entrusted to any hands but their own. And they will take it up as their profession––that is, with the diligence, regularity, and punctuality which men bestow on their professional labours. That the mother may know what she is about, may come thoroughly furnished to her work, she should have something more than a hearsay acquaintance with the theory of education, and with those conditions of the child's nature upon which such theory rests. 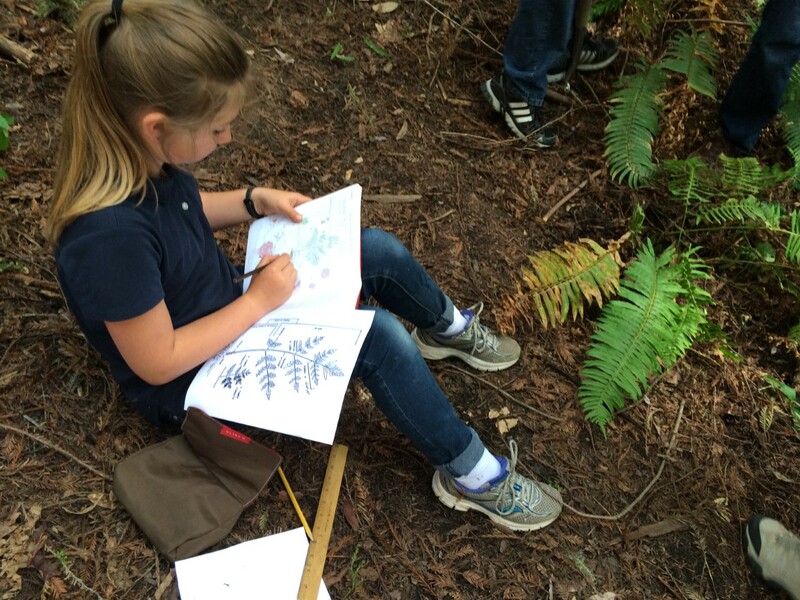 After a lesson about the fern, an Ambleside Home School student illustrates a specimen and labels it in her science lesson book. As the student works, she breathes in the fresh air and listens to the sounds of nature that surround her. We invite you to take a moment and visit with us to learn a little about Ambleside Home School. We look forward to continuing a conversation with you! Ambleside Schools International began with a vision to bring Charlotte Mason’s philosophy of education into the classrooms of American schools—first one school, then ten, and so on. Maryellen St. Cyr opened the first Ambleside school in Fredericksburg, Texas, in 1999. You can read more about ASI's history here. Soon, others who shared this vision, and some who were curious, came to observe the instruction and participate in training at the Fredericksburg school. The lessons gained included seeing and experiencing habits like attention, masterly inactivity, perfect execution, and thinking/remembering along with skills like oral and written narration, memorization, and recitation. The observers watched as a teacher ‘moved sphinx-like’ around the classroom, guiding her students with the authority due her in a peaceful, gentle way. The atmosphere in each school was one in which students’ ignorance was informed and weakness supported in a nurturing and loving environment. 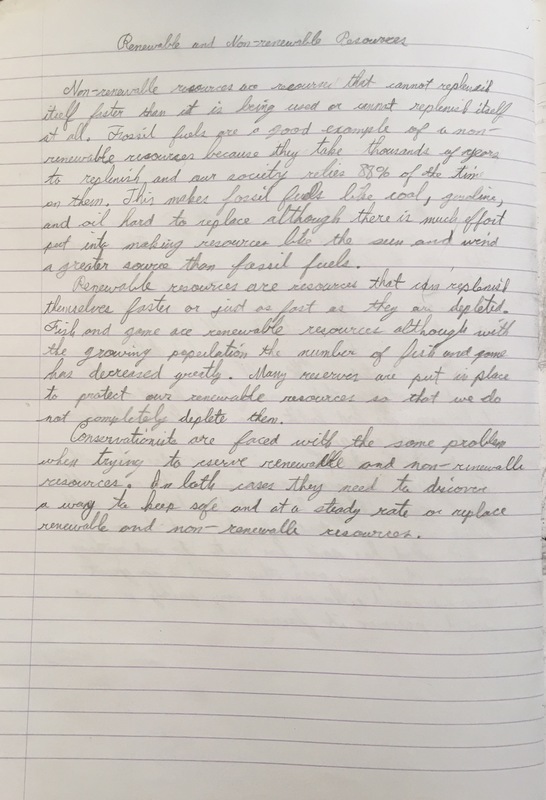 With a light touch of the teacher’s hand on a student’s shoulder, an inattentive student was brought back from a wandering gaze out the classroom window to their lesson and text before them. Teachers captured students’ strengths and weaknesses with notes they kept throughout the day. The teachers and children read from texts that were full of living ideas, so students could naturally and readily tell back the events in the story—in their proper sequence, using the author’s language, and with thorough detail. At the end of each day, the visitors were pleasantly surprised as they watched the children buzz about like busy bees, while cheerfully and swiftly moving from the classroom through the halls to complete their chores, tidying-up in preparation for the next day’s work before leaving for home. The visitors also noticed that, at the end of a very full day of work at school, the students had very little ‘home’’ work. They had worked hard on worthy work at school and completed their assignments during their lesson time. They were also refreshed from plenty of time spent outdoors at recess, physical education, or nature study. Simultaneously, there was a movement happening in the home. With the introduction of Charlotte Mason’s original volumes on education into the U. S, the method caught on at home. Families were searching for ‘living books’ and making narration and nature study part of their home classroom. Ambleside Home School (AHS) was the result of the home and school classroom meeting. The first Ambleside homeschoolers, who had a strong desire to implement Charlotte Mason’s philosophy well at home—to ‘do it right’— decided to make the trip from Silicon Valley to the Hill Country of Texas for training at the Summer Institute, a 7-day intensive in 2003. They were thoughtful and attentive students of the philosophy and method of instruction themselves and wanted to see the philosophy put it into practice in their home the ‘Ambleside way.’ These two women, with Maryellen’s tutelage, brought this formalized practice to the home classroom—first these two families, then another, and so on. Ambleside Home School now has a mentor program with mentors, who work alongside families to implement the philosophy at home. Those who join with us are those wanting to be true to the philosophy because they believe in it. They have come to understand, from reading the philosophy and from previous experiences and mistakes made, that there is fruit in the whole of the philosophy. The benefits of the philosophy break down when only done in part. They realize a Charlotte Mason education is much, much more than narration and nature study or picture study. Some families may have children who have more serious learning challenges and have struggled for years, and others whose children have been more like nomads, moving from school to school but never finding a place where they could thrive. Some families, after two or three years homeschooling, may find their children ‘falling behind,’ or having worrisome gaps in areas like math or composition. They recognize their need for more guidance and accountability to help keep them on track, so their efforts can become more consistent and fruitful. We are grateful for the opportunity to partner with all homeschool families, who seek to practice Charlotte Mason’s philosophy at home. It is not a work for the faint-hearted! It includes no worksheets or busy work. It requires the parent, as the teacher is in the classroom, to be actively involved in every lesson—reading texts, narrating, discussing, illustrating, painting, reciting together. It is a sacrifice of time on the parent’s part—a sacrificial gift the parent gives to the children and family. It is fulfilling work, as enriching and inspiring as it is challenging! It is for grownups who love to learn and seek to know. It is for those who long to have been taught in this way themselves but instead only tasted the ‘sawdust’ Charlotte Mason wrote about. Now we know and are informed and we want to do better for our children. Ambleside homeschoolers have gained a vision for a true vocation to be educators as well as parents. If you are a parent who is called to home education and desire to implement this beautiful method at home in a deeper, intentional way, we invite you to browse our website to see if what we provide fits with your needs and vision. Our mentors have years of experience as homeschoolers and classroom teachers. Mentors are trained in the Ambleside Method, and they have an interest in serving homeschoolers and maintaining the integrity of an Ambleside education at home. We are not the dreaded ‘academia’ to be feared, as some may think, due to the relationship with the school setting. Rather, we have a standard of excellence as God is excellent, and we know we have something unique and excellent to offer at home as well as at school. We are faithful and diligent with regards to our work in preserving Charlotte Mason's philosophy of education. Our standard is high in all respects. Mentors assist the families in planning and preparation by providing direction with lesson schedules and pacing; as part of this process, mentors walk parents through the materials and resources available on our website. They facilitate ordering from our inventory list, and help with practical things like sequences and teaching documents. In addition, they give ongoing support and training week by week as needs arise and lead the monthly group conference calls, when moms come together to read and discuss philosophy and share experiences and insights learned over the months and years. Our curriculum is tried-and-true, having been time-tested for twenty years in the classroom and fifteen years at home. At first, it was thought that families would stay for two or three years and then be equipped to continue independently. Although our families do become proficient in CM's method and practice at home, many have stayed with us for well over three years. In fact, one of the original families is still partnering with us today, and other families gave gone on to start a school! Our aim is to train and support parents in their consistent efforts toward growth from engaged, thoughtful learners to confident, master teachers. Read what our families have to say! The work shown above is an example from the science lesson book of an Ambleside Home School student. 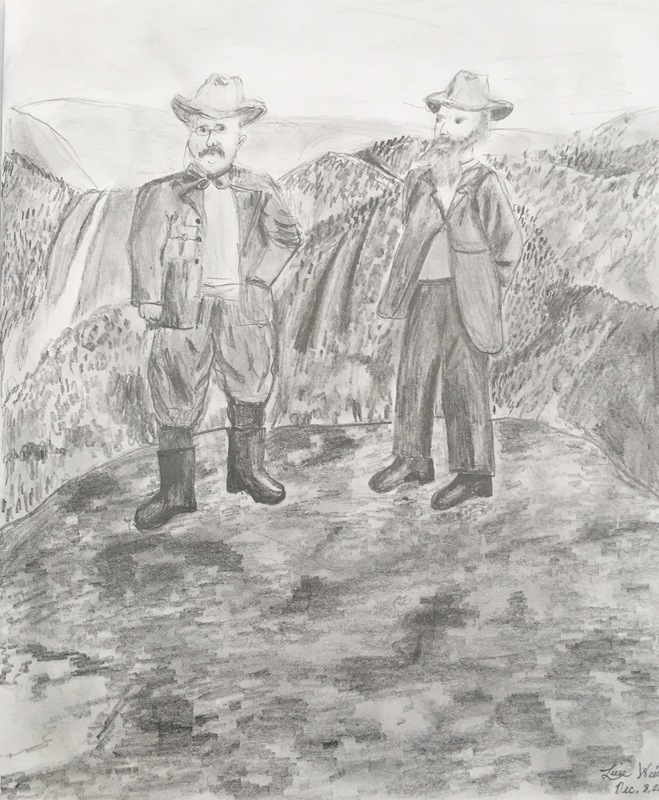 In response to a lesson on conservation, the student rendered an illustration and wrote a narration to record this important meeting between Theodore Roosevelt (l.) and John Muir (r.). To avoid confusion, it is important to note that we are not affiliated with Ambleside Online. Ambleside is a registered and trademarked name belonging to Ambleside Schools International. Our training and experience, both in the classroom and at home, are what set us apart from other homeschool programs. We believe you will find this distinction significant and the cost well worth the investment. If you're thinking about forming a group in your community, we encourage you to watch our training videos. These include corresponding study guides for discussion. Here we archive a wealth of worthwhile articles and stories related to our work. These include topics such as education, psychology, brain research, and parenting among others. Over the years we've had the privilege to know and grow with many sojourners, who, like us, desire something greater for themselves and their children. We recognize as Charlotte Mason noted, that there is a 'vast potential in each of us.' Our blog contributors are those who have shared this vision with us and learned from their experiences in implementing a Charlotte Mason / Ambleside Method education in the home and school classroom. Be sure to fill out our inquiry form if you have any additional questions or need more information, or give us a call! To register, fill out our registration form here. ASI Homeschool Mentorship from Ambleside Schools International on Vimeo.